Mr. Minocher Patel is the Founder Director, of Ecole Solitaire India’s First Residential Finishing School and International Corporate Training Consultancy. 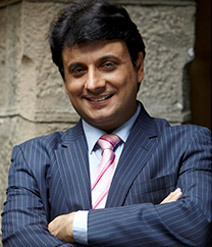 He is internationally acclaimed and India’s Leading Motivational Speaker and Corporate Trainer. Mr. Patel is well known in the Corporate and Educational Sector in India and Abroad for his transformational training programs on – Motivation, Leadership, Business Etiquette and many other soft skill programs. Over the last 2 decades Mr. Patel has trained over 200,000 people all over India and abroad in countries like UK, USA, Canada, Sri Lanka, Thailand, UAE, Bangladesh, Nepal. He is also India’s leading Leadership and Image Coach for CEO’s, Senior Manager, Politicians and Professionals from the entertainment industry. Mr. Patel has received numerous awards acclaiming him as India’s Leading Motivational speaker and Success Coach. He has received the National Achievement Award for Excellence in Education and Training at the hands of Union Minister of State for Planning, Mr. M.V. Rajasekharan in New Delhi 2007. He has also received the Indira Gandhi Priyadarshani Award for outstanding Service, Achievements and Contribution in the field of Education and Training on 19th November 2007 in New Delhi. This prestigious award has been earlier awarded to renowned personalities like Mother Teresa, Rusi Modi, Navjot Singh Sidhu, Actor Rajnikant and Pandit Hariprasad Chaurasia. Also, Mr. Minocher Patel is the author of the Book “Ordinary to Extraordinary” which has been declared as a National Best Seller.